8Bit Bakeshop is a geek themed bakery operating out of The Enreprenuer Space in Queens, NY. 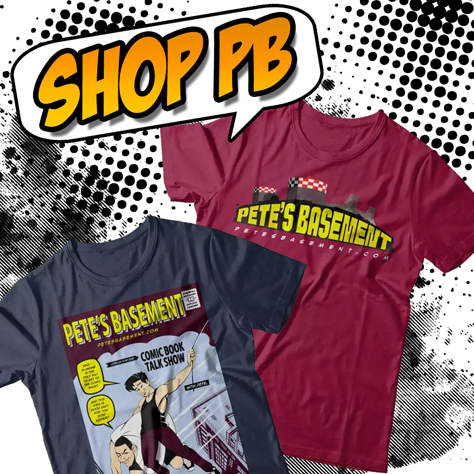 At their Online Shop, you will be delighted to see all kinds of nerdy noms from different fandoms ready to order, or be created from your imagination and shipped nationwide. 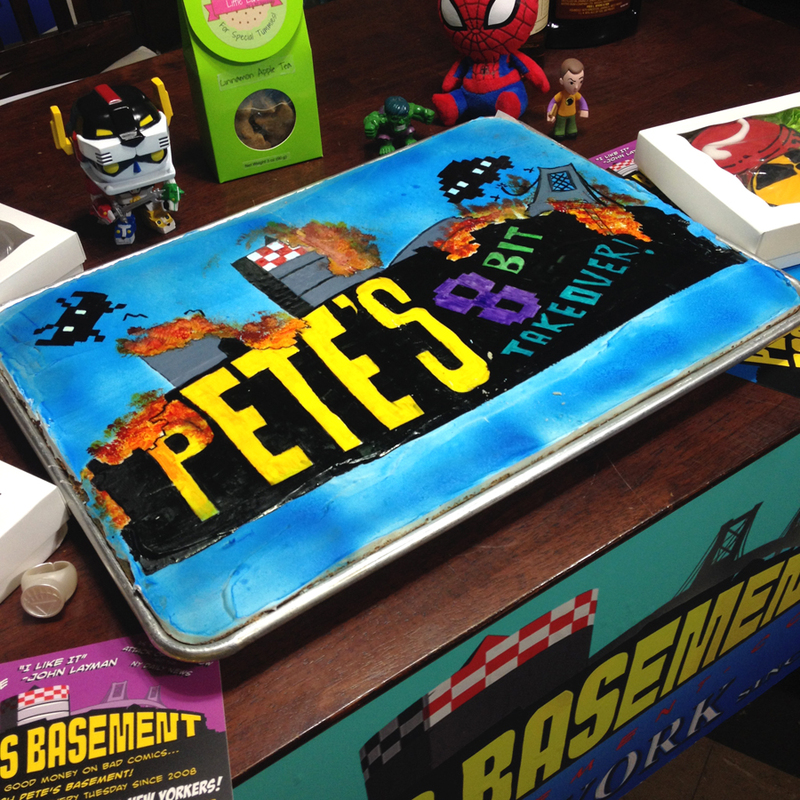 As a guest on The Pete's Basement Show, we are always happy to see Hannah, Matt and the delicious nerd noms that they bring by. With the goal of expanding from an online shop, to a brick and mortar bakery in New York, 8Bit Launched their Kickstarter - Press Start, to get the dough rolling. At the 8 Bit Bakeshop location, geeks can expect to not only get delicious pop culture treats, but also a video game arcade, and event venue. I have not tasted anything from 8Bit Bakeshop so far that has not been amazing. 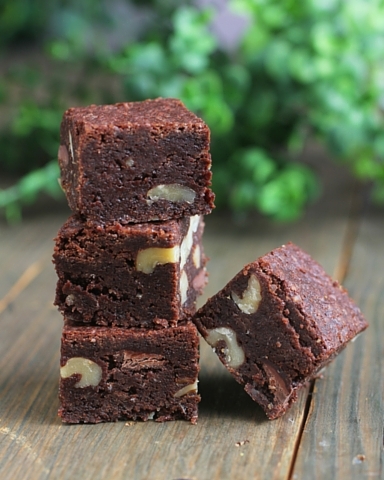 To more traditional vanilla sugar cookies and brownies, to special "bartender" treats made with alcohol, we have definitely been woo'ed right to our hearts from our stomachs! Patrons, and parents whose children have allergies or dietary restrictions, will be excited to know that 8 Bit Bakeshop is an all inclusive bakery with you in mind. Hannah and Matt of 8Bit were inspired by their daughters diabetes to make Little Luna, a line of cookies that are gluten, nut, and sugar free, with plant-based options coming soon. Cakes, treats and cookies ordered at 8Bit Bakeshop can be customized to your needs as well. No more sadly feeling left out from amazing goodies, or having a hard time finding a place to throw your party because of what you need to eat. While the bakeshop specializes in geek treats, they are professional, talented pastry artists that can execute traditional and other imaginative designs and ideas. 8 Bit Bakeshop will be more than just a bakery and event venue, it is also a community oriented business. Hannah and Matt created J.E.T. | S.E.T., a Juvenile Economics Training | Senior Economics Training program influenced by the Sega Dreamcast favorite "Jet Set Radio". T he idea behind J.E.T. | S.E.T is to offer a summer weekend economics program to troubled urban youth that focuses on the life and job skills they are not learning in school. From baking a cake, working in a kitchen, and preparing for an interview, the program covers a range of valuable skills for their future. The program will be free to anyone willing to join (space permitting) and those that graduate from J.E.T program are welcomed back when it is time for college internships. Graduates of legal working age will also have first priority during holiday hiring. 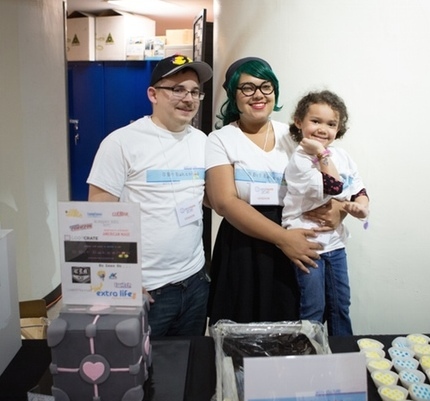 Having a geek themed bakery and venue in New York City, run by such wonderful people will not only bring delight to taste buds of all kinds and needs, but really benefit the geek and local community by being a socially conscious, no judgement zone. It is definitely worth investing in, and I threw in my contribution already. See more amazing pictures of cakes, edible arcade cabinets, and of the 8Bit Bakeshop workspace on their PRESS START - KICKSTARTER, and swing 'em some sugar!